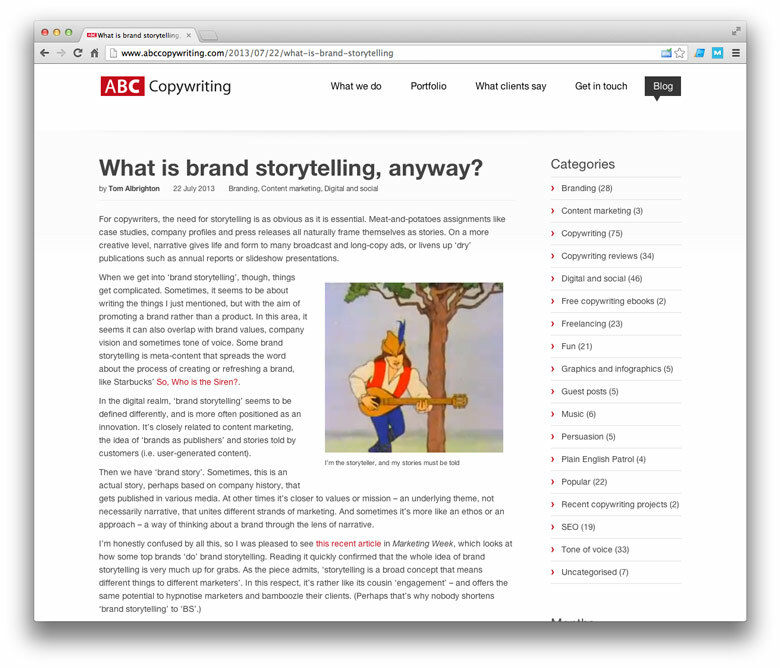 "Good copywriting makes the difference between building bridges and burning them." 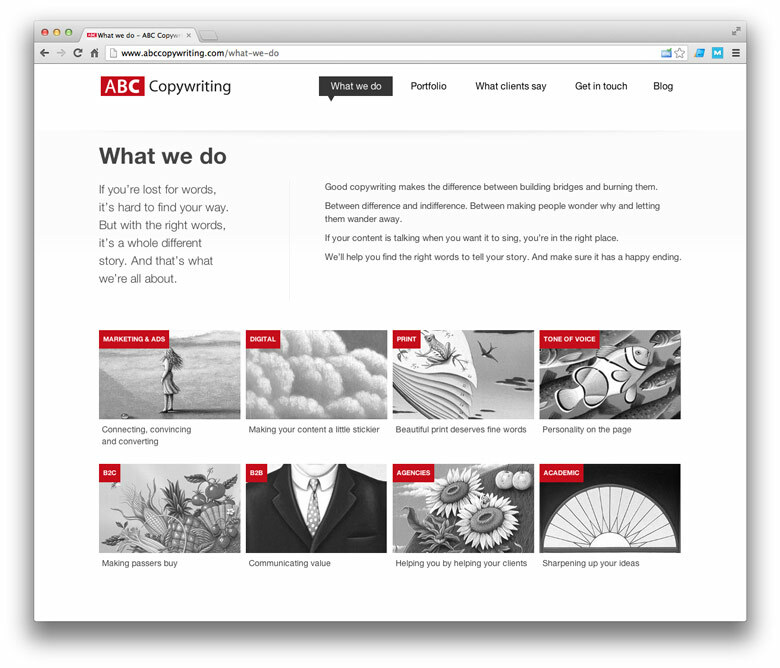 ABC Copywriting is a top copywriting agency based in Norwich, UK. 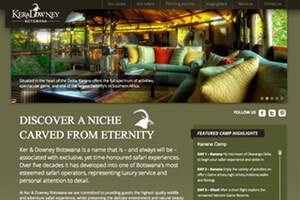 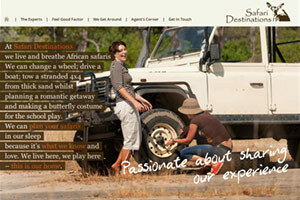 We were asked to develop this website to designs already provided. 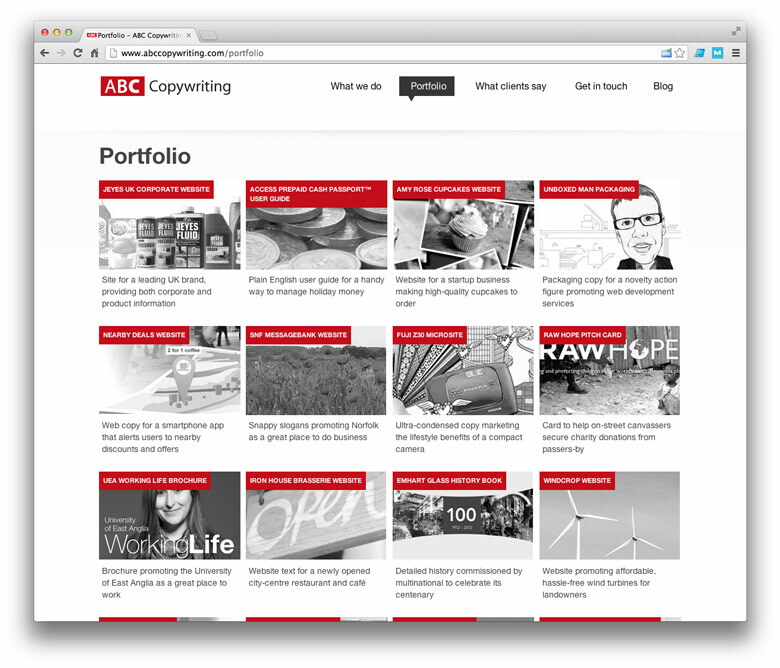 Based on wordpress it gives ABC Copywriting the ability to ability to update it when ever they like. 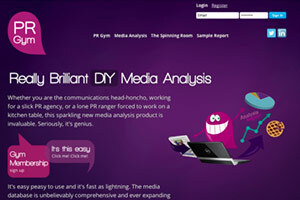 The website has an active blog section as well as portfolio/case studies and integration with Freeindex reviews. 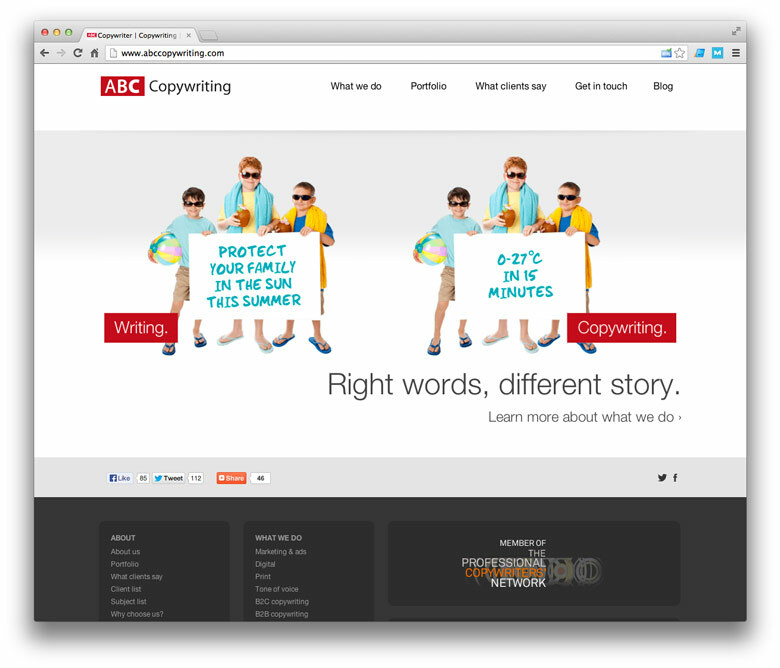 Check out ABC Copywriting at www.abccopywriting.com.